Nearly three decades after the publication of his groundbreaking critique of the Western mainstream press, Noam Chomsky still believes the media is complicit in "manufacturing consent." In 1988, renowned linguist and political scholar Noam Chomsky co-authored a book with Edward S. Herman in which he posited that the Western corporate media "manufactured consent" in the interests of dominant and elite groups in society. Chomsky, who is admired for his intellect by some and accused of anti-US leanings by others, argued that propaganda is pervasive in the so-called free media of the West. A lot has changed in the twenty seven years since Manufacturing Consent was published. Namely, the media ownership models that Chomsky criticized have changed, and that landscape has transformed, largely due to the advent of social media and other online platforms. Still, Chomsky believes little has changed in his Manufacturing Consent model. 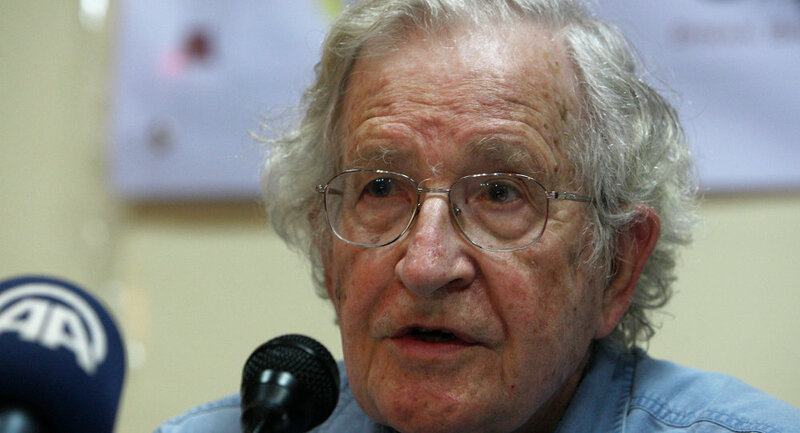 In an interview with Byline, Chomsky discussed media landscape, saying that despite the influx of new sources and new platforms, his "basic analysis is still the same." Though the influence and reach of traditional media conglomerates has waned in the wake of alternative platforms, like Facebook and Twitter, Comsky maintains that the public’s access to information is limited through the same framework. "I don’t look at Twitter because it doesn’t tell me anything," He said, "It tells me people’s opinions about lots of things, but very briefly and necessarily superficially, and it doesn’t have the core news." In fact, and contrary to popular opinion, the advent of these alternative platforms has narrowed the sources of what he calls "core news." "There are journalists there on the scene where major events are taking place and, now there are fewer of them than before, so that’s a narrowing of the sources of news," he argued, "What you see is local news, pieces from the wire services, some pieces for The New York Times, and very little else." Another issue that continues to dominate the media-sphere, according to Chomsky, is the reliance on advertising. In Manufacturing Consent, he wrote that media organizations, for all intents and purposes, are businesses, and as such, are driven by consumer demand. In the case of the news media, the consumers are advertisers. This means that, we, as news media viewers, are the product that is being sold to advertisers. This model, according to Chomsky, is still very alive and well today. "The product that is being presented to the market is readers (or viewers)," He explained, "So these are basically major corporations providing audiences to other businesses, and that significantly shapes the nature of the institution." What is happening today, with organizations like BuzzFeed using "native advertising" – advertising that matches the content of a news article or story – "is an intensification of something which shouldn’t exist." 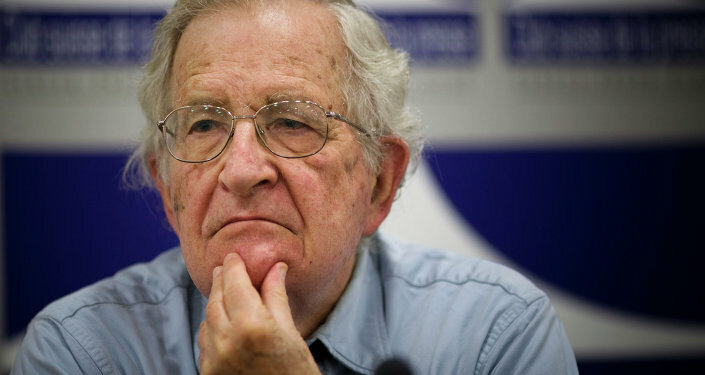 During the interview, Chomsky also touched upon the NSA scandal that was covered by The Guardian and The Washington Post after Edward Snowden leaked documents capturing the agency’s invasive surveillance program. Asked if he thinks the coverage of the NSA scandal defeats his model, since it works against "elite groups", Chomsky said no. "The business model is quite willing to tolerate the exposure of governments intervening in personal life…as they don’t want a powerful and intrusive state." He explained. He additionally stressed that today’s business do more in the way of violating privacy than the government agencies like the NSA, specifically because of the reliance on advertising. "With Google, and others of course, there is an immense amount of surveillance to try to obtain personal data about individuals and their habits and interactions and so on, to shape the way information is presented to them. They do more surveillance than the NSA."